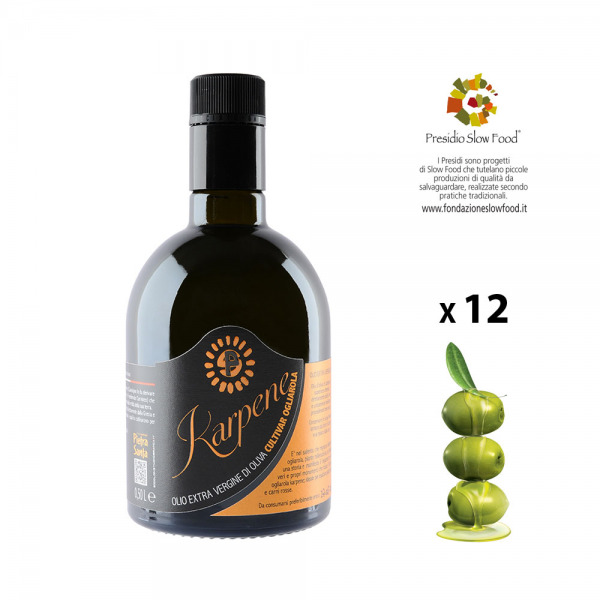 Pantry pack of 12 Ogliarola Karpene extra virgin olive oil 0.50-litre-bottles. 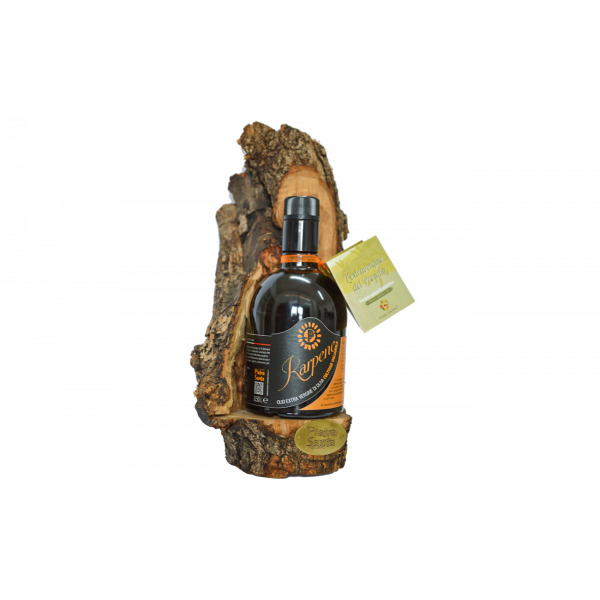 Ogliarola Karpene monocultivar superior category extra virgin olive oil directly obtained from Ogliarola olives. 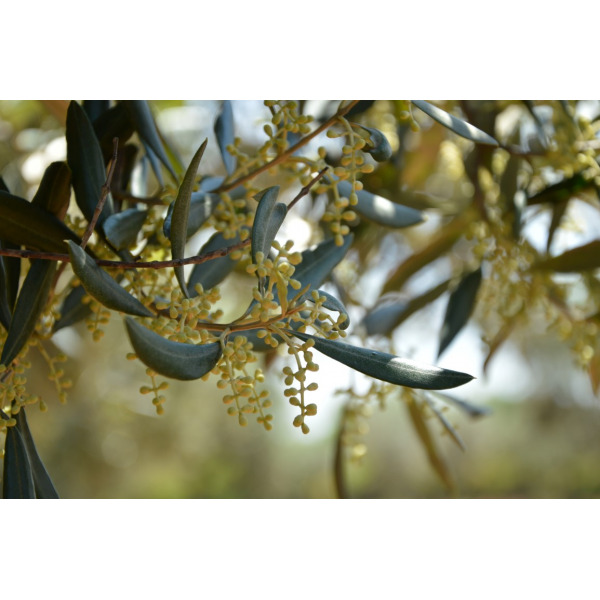 In Salento, in the heart of Puglia, near Torre Guaceto reserve in Carovigno area, expanses of Ogliarola olive trees grow; the native variety of the plants, whose ancient beauty is carved by time, tells a story and expresses the bond with humans and environment. And it is just from these real monuments that monocultivar Ogliarola Karpene extra virgin olive oil (in conversion to organic farming) comes thanks to Pietrasanta Farm; the aromatic notes that introduce this middle fruity are the green apple and herbs (thyme, sage, marjoram), accompanied by a strong note of berries. 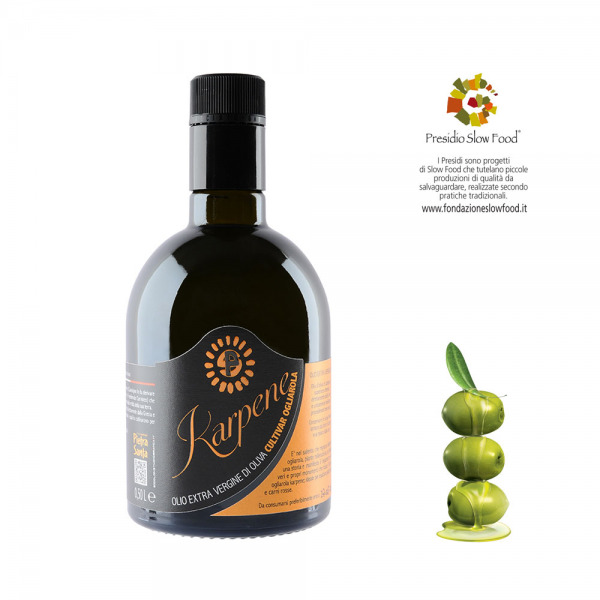 The Ogliarola Karpene monocultivar extra virgin olive oil is ideal to enhance vegetable dishes, soups, pulse soups and red meat. Green-medium intensity Fruity. (Acidity 0.2). 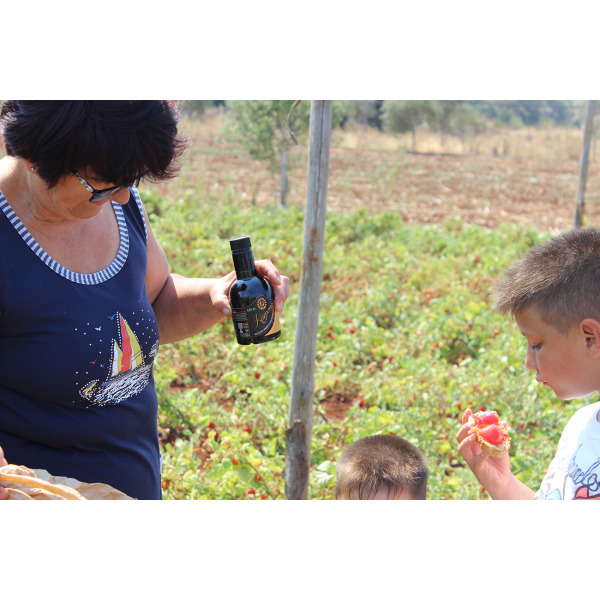 Un extravergine di oliva Pugliese che è ha ottenuto giustamente il riconoscimento di olio Presidio Slow Food. Il Karpene è un'eccellenza tutta brindisina! Bravi! 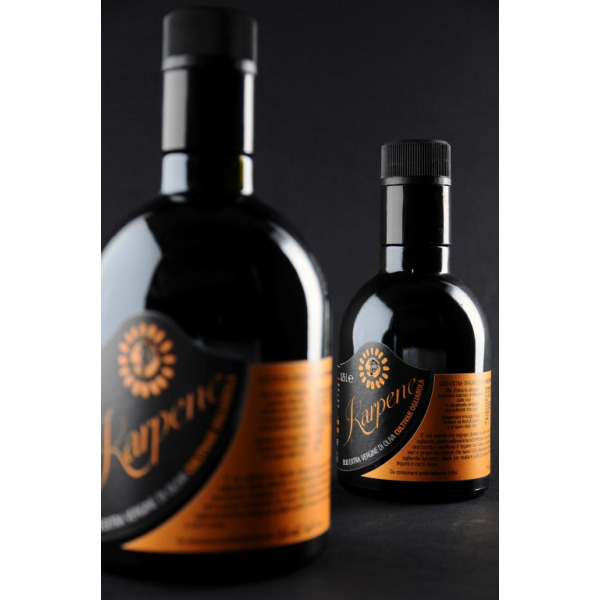 Karpene Extra virgin olive oil 0.5-Litre-glass-bottle.